I am linking up with Doodle Bugs for my first ever Five for Friday, where you share five random things about your week. I don't have a lot of pictures to share but I do have some randomness. 1. My observations for the year are O-V-E-R over! I had my final announced visit on Wednesday and my final unannounced on Thursday. 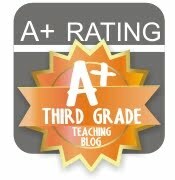 My announced was amazing and I scored mostly all 5's from someone who is a stickler for the rubric. I was really proud of myself. I have no idea what my scores are from Thursday yet but that's ok. My principal seemed happy with the lesson. Thank heavens for some AMAZING friends for helping me out (you know who you lovely ladies are). 2. I didn't post this last week but last Tuesday on my way to work I was in a wreck....with a parked car. Yep ridiculous I know. The sun was so bright and just in that perfect spot that I could not see a thing. By the time I tried slowing down it was too late. Here are some pics of my car. (Mind you, up until this point my almost 7 year old car barely had any dents in it!) I am getting it back (hopefully- as long as it looks good) today! Scratch that... it wasn't ready. But here are some pics of the damage. YIKES! what it looked like once they took all the broken parts off! 3. Have you seen this blog design?! Christi did a fantastic job! I am in LOVE with this design. It is more than I could have ever imagined that it would be. If you want to revamp your entire blog or just some bits and pieces, I highly suggest going to her. 4. My daughter has learned how to do the Braves chop. We took her to two games last year when she was 1 and we are taking her to two this year too. She has been obsessed with watching the video of her chopping last year, and now does it all the time. It is hysterical. Check out the video. 5. It is spring cleaning time. And I do not mean cleaning your house. Because well, I hate cleaning. And I certainly am not going to bore you with Clorox and Windex. No no...this spring cleaning is MUCH MORE FUN. It is time to clean out your TpT Wishlist! 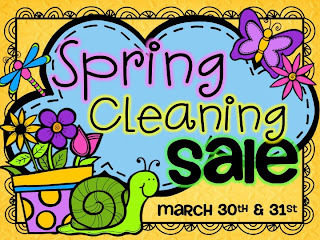 Lots of bloggers/sellers are participating in this fun spring cleaning sale. I am marking my items 15% off for the weekend. And am hopefully going to clear out some things from my own out of control wish list. Thanks Jen! I hope they fix whatever the issue is! Oh Gina, I love this new design! My daughter's room is pink and apple green (almost the exact same colors)...love it. What kind of observation Rubric does your school use? Currently, we use the TAP rubric, but we're moving to a new system next year (Charlotte Daniels). I still have 1 more unannounced eval this year...yuck! Your blog is beautiful!! I love the colors!! Good luck with your car... I almost hit something the other day too because of the sun! It's brutal around 5:30-5:00 here. Gina...thanks for the reply (yes, I LOVE this new couch). Your rubric is VERY close to ours. Here's the link to ours. We don't do a 2 or 4. We also get performance pay and must score a 3.5 to get payout (average of many things aside from the evals). Your design is so pretty Gina!! I'm sorry to hear about the accident...I'm glad it's looking better now! I'm soooooooooooo in love with your new blog design! I am not in love that you got in an accident... so sorry! Hi Gina! 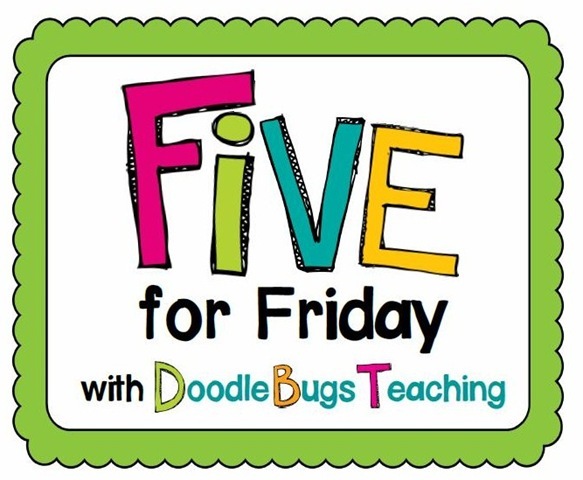 I just found your blog through Doodle Bugs and I love it. The design is so clean and cheerful. It looks great. :) So sorry to hear about the accident; I am glad you are okay. Get to know me & enter an AMAZING Giveaway!